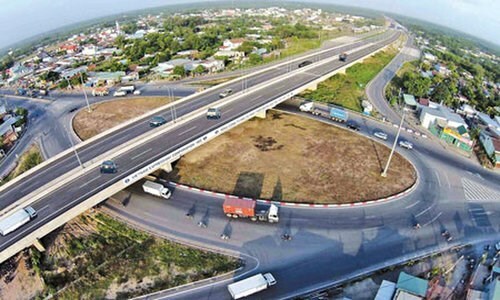 Dong Nai (VNA) – The eastern section of the North-South Highway will be put into use in 2021 in schedule, according to Minister of Transport Nguyen Van The. At a recent working session with officials of the southern province of Dong Nai which the road will run through, the minister said 11 component projects of the section had been approved, with three of them to be funded entirely by the State budget, and the other eight using capital from both the State budget and investors in the form of public-private partnership (PPP). According to the minister, ground clearance work is slated to be carried out this year so as to hand over land to investors for construction. Total funding for ground clearance work is estimated at more than 14 trillion VND (600 million USD). At the same time, construction work will be started for three component projects this June, Minister The said, adding that international biddings will be held for the 8 PPP projects to choose their investors. The eastern section of the North-South Highway runs through 13 provinces, starting from Nam Dinh in the north, and ending at Vinh Long in the south. Total investment for the 654km route is planned at more than 118.7 trillion VND (5.1 billion USD).